Octopush, or as it is better known Underwater Hockey, is a very physical and fun sport. It comprises of two teams the aim being to manoeuvre a puck accross the width or length of the swimming pool floor, underwater, in an attempt to score a goal in the opposing teams goal. The puck is propelled by small hand held bats or hockey stick. The club plays Octopush on the last Thursday of each month as a means of interest and fitness. If you fancy joining in this fun sport thats all you need are mask, finns and snorkel, be a reasonable swimmer and be able to hold your breath for short periods of time the rest is just having fun. Please get in touch or come along to Ebbw Vale Swimming pool on a Thursday Evening 19:15 for 19:30 start, last Thursday of the month to join in the fun. 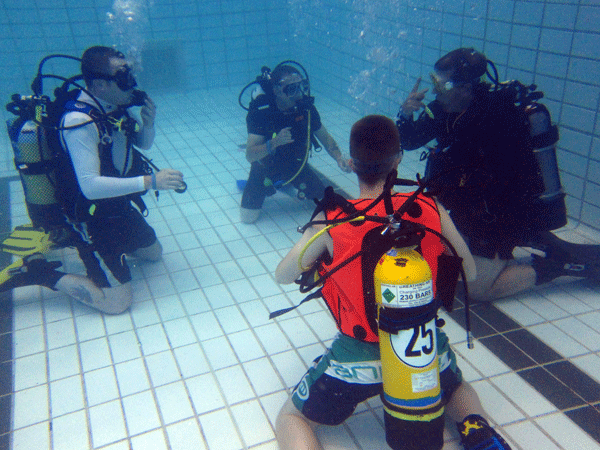 The club welcomes anyone to attend a try dive night to experience the wonders of breathing underwater. The try dive is for anyone (14yrs and over) to come along to our club and for a small fee (£10) you can experience what it is like to be weightless and the wonderful feeling of breathing underwater. Please contact us or come along to the pool for further details. ALREADY QUALIFIED AND INTERESTED IN DIVING WITH US ? We are taking on new members all the time from any agency and qualification. Why not come along to our pool nights for a swim and meet with other members, we have the use of the pool every Thursday night between 7.30 & 8.30pm at the Sports Centre, Ebbw Vale. We also hold our meetings later from 8.30pm at The Kings Arms Public House Newchurch Rd, Ebbw Vale NP23 5BD every Thursday so come along and have a chat to one of our qualified instructors. We are always recruiting, training and encouraging new up and coming divers to join our Sub Aqua Club. 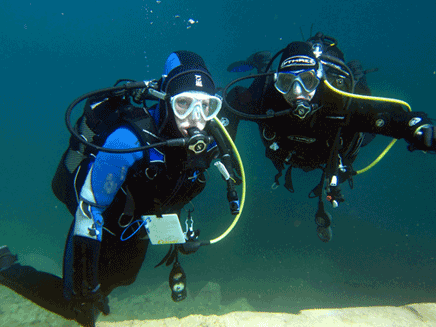 The BSAC Ocean Diver Course is the entry level course for new starters aged 14yrs and above. This course prepares the diver for open water diving giving them the knowledge and skills needed to become competent and confident to enjoy the wonders of the underwater world. All training is completed comfortably and safely in the safety of a swimming pool and you will be introduced to the open water in a controlled manner being looked after by one of our nationally qualified Instructors where you will gradually gain confidence and the skills to go on and become a competent diver. Please contact us if you would be interested in learning how to SCUBA dive or if you need any further information about diving or snorkeling.